Picket 43 malayalam movie to be directed by Major Ravi will focus on an interesting story line which would tell the tale of two military men belong to two warring countries-India and Pakistan. The story pools into the life of the two soldiers who keep their friendship even guarding their nations. The other characters in the movie are a dog and a radio. With the cast and other pre production works, this movie would start rolling at the first half of 2014. 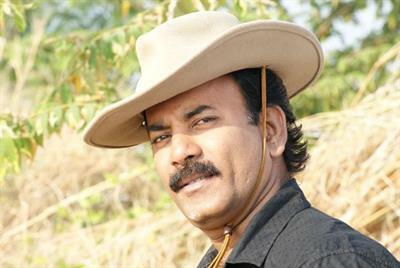 Major Ravi, a former Indian Army Officer rose to fame after he went after his passion over movies. After guarding the nation for two decades, the man with an extra spine worked with the popular movie makers including Priyadarshan, Rajkumar Santhoshi, Kamal Haasan, and Mani Ratnam as military consultant. Keerthi Chakra and Kurushetra were much enough to know the skill Ravi as a film maker. Learning from his previous ventures, Major Ravi is gearing up for his new project which would tell the tale of of two military men belong to two warring countries-India and Pakistan. Titled 'Picket 43', the story of the movie pools into the life of the two soldiers belonging to two countries keep their friendship high even while guarding their nations. The other characters in the movie are a dog and a radio. To be picuturized at the backdrops of Kashmir, 'Picket 43' would zoom the real life situations of the two military men staying at their own country borders. While standing at utter mental pressure with no information known about the outer world and their family, the two warriors guard their nation with courage. To keep the movie enthusiasts intact, romance and songs would also be featured. It is known that Major Ravi has discussed the story with Mohanlal. According to Ravi, his interest to focus on stories related to military is to unite the young generation and to make them have love towards their nation. As in his previous movies, a signature tough of the director from his self experience would add more reality to the story. With the cast and other pre production works, this movie would start rolling at the first half of 2014. So get ready to taste the fruit of a fresh tale offered by Major Ravi and his team. He made his last outing in 2012 with Karma Yodha which zoomed into the life of children who were trapped by mafia groups.